NEW YORK , NEW YORK, UNITED STATES, April 1, 2019 /EINPresswire.com/ -- Austin, Texas is proud of its government employees and demonstrates appreciation by giving them access to a range of unique benefits and discounts. Affinity programs such as PerksConnect allow City of Austin employees to save money through local transactions and national deals while traveling. Austin, Texas’ State Capitol, is home to nearly a million residents today and boasts a rich history that extends back into the 19th century. City of Austin employees enjoy one of the most lively and entertaining cities in America, but they’re also at a unique advantage thanks to the extensive benefit programs offered through government employment. Active employees earn savings and discounts on hundreds of items and services around the city and afar, and the deals never run out. City of Austin employees are awarded vision and dental assistance plans, life insurance plans, and disability plans in addition to a range of Flextra account options. They’re also privileged to financial assistance (like affordable small dollar loans) and national savings through the comprehensive PerksConnect program, which provides everyday deals on essential and luxury items. Entry to programs such as PerksConnect is free for City of Austin employees, one of the many ways the city shows appreciation for its employees’ dedicated work. Through the extensive offerings within the program, PerksConnect members can save money on local transactions, name brand purchases, discounted gift cards, state-to-state deals and more. 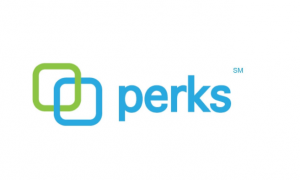 It’s all made available through the Perks Group’s extensive merchant network that powers the PerksConnect program from coast to coast. In Austin, members can save on items from local establishments and chain locations, from food and essential home products to luxuries and entertainment. Members also gain entry to a national savings network that lets them acquire a variety of savings across the country--no matter which city or state they travel to. The Perks Group has over 30 years of service providing exclusive discounts and benefits across the US, letting their members shop in any way they’re most comfortable with. Members can use deals through an 800-number, through a link during online shopping, by printing out coupons, or by using the mobile application. PerksConnect members encounter savings at over 200 thousand business locations throughout the U.S. The comprehensive program provides hard-working employees the ability to stretch their earnings and earn real cash back in their pockets while shopping with available codes and coupons, no gimmicks or point systems involved. Besides the network of discounts, members of PerksConnect can also access professional tools and resources that improve various processes in their lives. Perks Group offers time-saving management tools for efficiency as well as regional search options for locating distant deals. All in all, the City of Austin employees enjoy access to some of the best national discounts and savings around, helping minimize cost for the dedicated workers that help the city run.